Summer Water Sports leads the field in waterski, wakeboard and flyboard instruction in Canada; on average we take 30,000 people waterskiing every year. We pride ourselves on teaching a wide range of ages and skill sets and are committed to providing safe and fun instruction for all. SWS provides private clinics at your dock as well as lessons at our ski schools, situated on some of Muskoka’s top resort properties. We recommend booking your lessons in advance. Our highly skilled instructors are certified by Waterski and Wakeboard Canada (WWC), and receive practical First Aid and CPR training. Many of our top instructors have received their Level 2 Wakeboard Instruction through WWC, and some are Learning and Master facilitators, helping to shape the direction of teaching towed water sports in Canada. 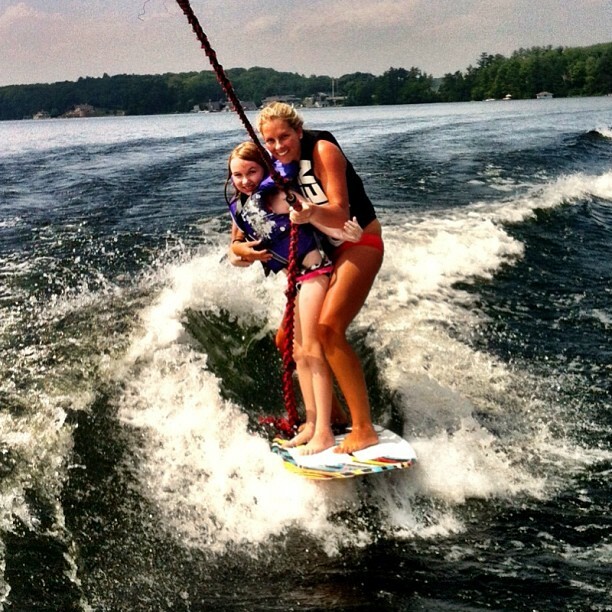 If you sign up for a beginner ski or wakeboard lesson, we guarantee that you’ll get up or your money back! 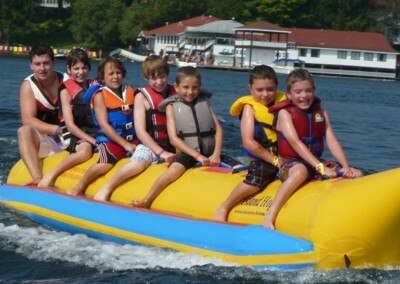 We also offer tubing and banana boat rides at all of our locations. Your dock is full of guests and you’re entertaining and relaxing with your friends, but the kids won’t stop bugging you to take them skiing. 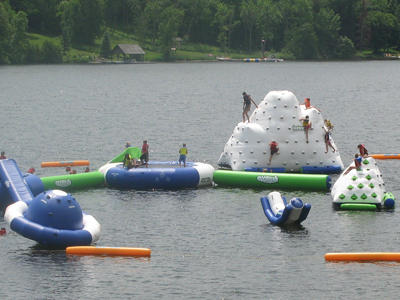 No one wants to leave a party to do continual circles around the lake – except for us! 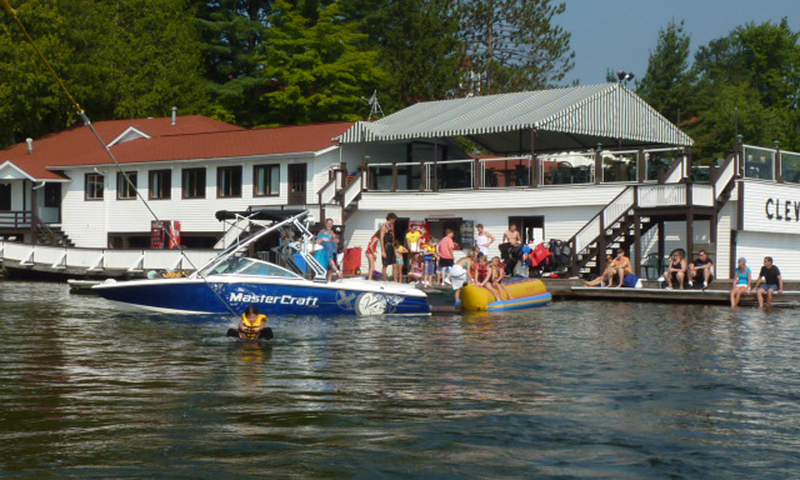 We bring the boat, ski equipment and staff right to your dock. All you have to do is sit back with your cocktail and enjoy. We offer cottage clinics throughout the Muskoka area from spring to fall. Our clients are provided with a Mastercraft boat, a large selection of equipment from O’Brien and one or two of our world-class instructors. In addition to providing waterski and wakeboard instruction, our instructors are also qualified to teach safe boat driving for all watersport activities. Summer Water Sports can also supply you with Sea-Doos, inflatables, standup paddleboards, lifeguards and our famous flyboard. Perfect for skiers who prefer to ski behind their own boat, but are interested in improving on their skiing. 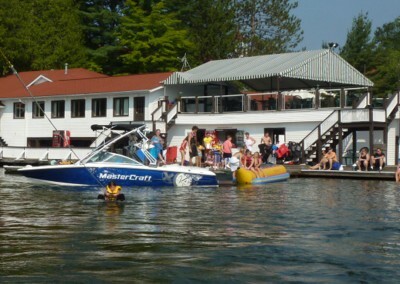 Our staff will come to your cottage and provide skiers with world class driving and instruction. Our famous waterski shows would be not possible without the expert skill level of our boat drivers. Learning to drive for waterskiers and wakeboards can be difficult to navigate alone. Our highly skilled boat drivers can come to your dock to teach you how to safely and skillfully drive waterski and wakeboard runs for all ages and skill levels. We can also teach you how to properly maneuver your boat around the lake and offer expert tips and tricks for docking your boat. To book email steve@summerwatersports.com, or fill out the form below. Our ski schools are situated on some of Muskoka’s top resort properties, but are open to the public. In addition to waterski, wakeboard and flyboard lessons, we offer tubing and banana boat rides, pontoon tours and rentals. Our inflatable waterpark at Clevelands House is a great place to spend a summer day! New System 2.0 Cable Park for wakeboarding! Call 1-888-I-SKI-SWS or 705-706-3828 to speak directly to one of our team members. 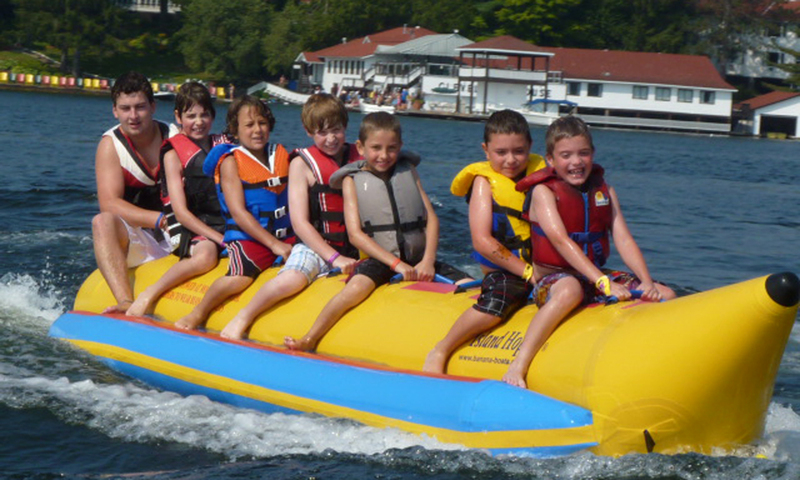 Summer Water Sports operates a day camp program at the Lake Joseph Club which runs Monday to Friday 9:00 AM until 4:00 PM all summer long. Skiers who attend the camp receive personalized one-on-one training from some of Canada’s top instructors. The camp provides skiers with a fun, safe and comfortable environment to learn, develop long lasting friendships and improve upon their skills. SWS offers skiers the choice of attending camp for a full day or half day. Full day campers receive four personalized one-on-one ski runs of their choice. Half day campers may attend either the morning or afternoon sessions and receive two personalized one-on-one ski runs of their choice. 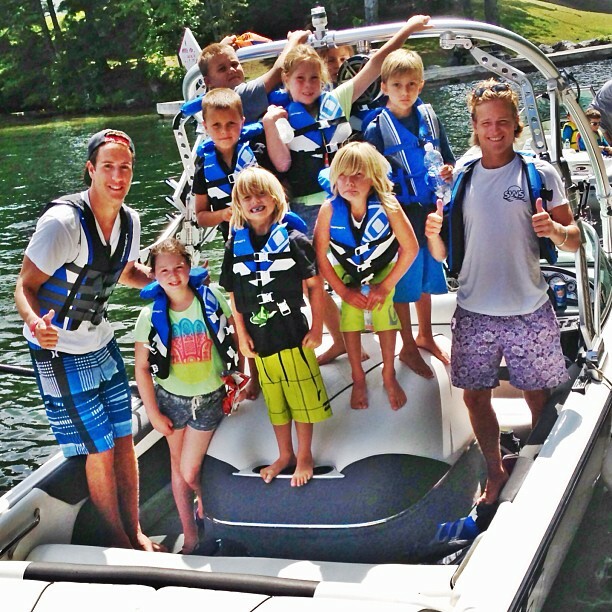 Past campers from the Lake Joseph Club have gone on to have great success in the sport of waterskiing. The camp has produced some of Canada’s top show skiers, including Geordie, Charlie and Whitney Newlands, who all started their ski careers as campers with Summer Water Sports. The Day Camp program is perfect for those looking to improve upon specific skills or kick start their professional show skiing career. Please note, even though the camp is offered at the Lake Joseph Club, it is open to the public. Meals are not provided. Let us take you flyboarding, wakeboarding, waterskiing, wakesurfing, tubing or cruising anywhere in Muskoka! Summer Water Sports is committed to providing safe and fun instruction for all.